Finally got the Herron put on a shirt. I did do it on the nylon mesh and maybe some of the feathers didn’t come out quite right but I am happy with it. I am always afraid to embroider right on a garment. This shirt was a little pricey and I would have been upset if the design screwed up. 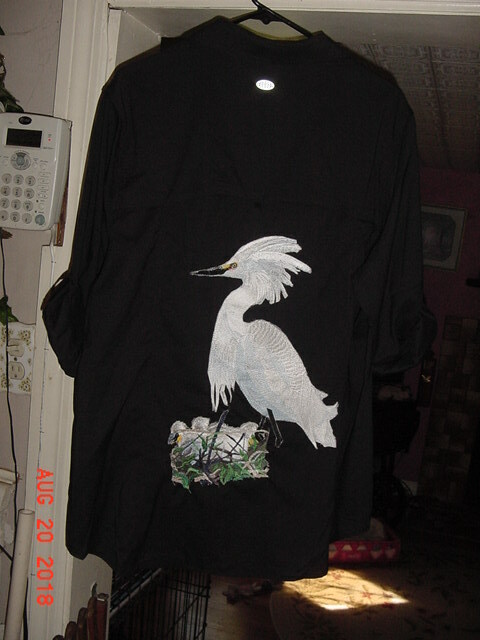 This way if I get tired of the shirt I can remove the embroidery and put it on something else. Thought you would like to see it done this way.